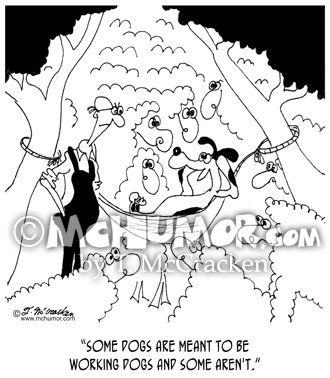 Dog Cartoon 7132: A dog swinging in a hammock in the middle of a flock of sheep telling a rancher, "Some dogs are meant to be working dogs and some aren't." 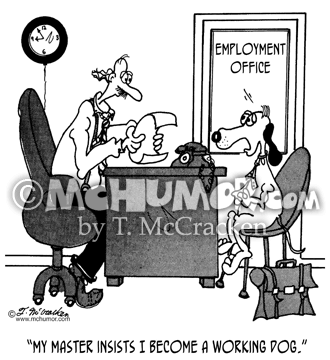 Dog Cartoon 5076: Dog in employment office saying, "My master insists I become a working dog." 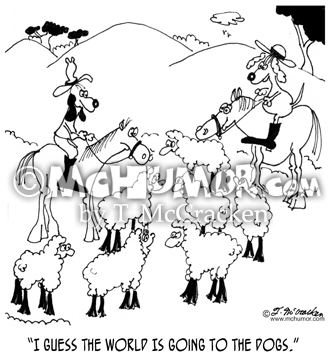 Dog Cartoon 6237: A ranch where all of the hands are dogs dressed up as cowboys a sheep says, "I guess the world IS going to the dogs." 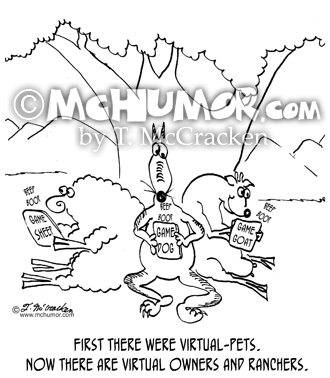 Dog Cartoon 6734: "First there were virtual-pets. 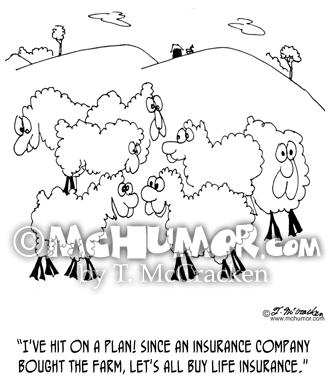 Now there are virtual owners and ranchers." 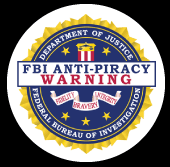 Sheep, goats, and dogs play with small video games. 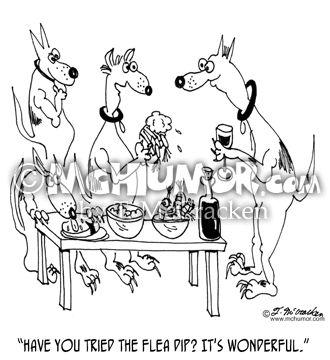 Snack Food Cartoon 6653: A sheep dog at a party holding huge fleas over a bowl saying, "Have you tried the flea dip? 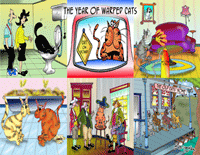 It's wonderful." 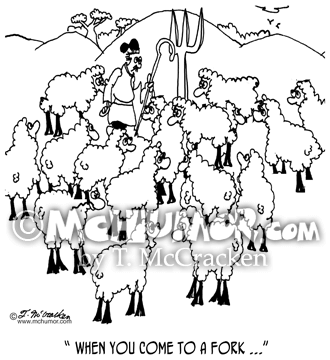 Sheep Cartoon 8626: A shepherd in the middle of a flock of sheep looks at a huge dinner fork. 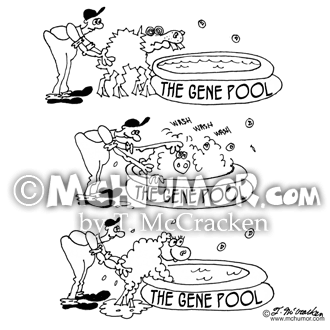 "When you come to a fork ..."
Sheep Cartoon 6840: "The Gene Pool," A rancher washed a scrawny animal in a pool labeled "Gene Pool" and it comes out a looking well bred. 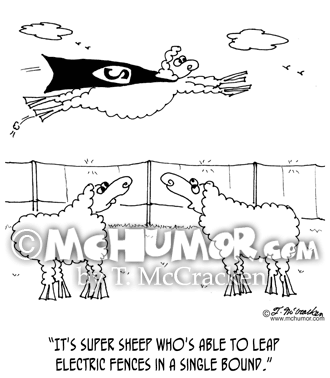 Sheep Cartoon 6772: Looking at a flying sheep in a cape another says, "It's Super Sheep who's able to leap electric fences in a single bound."